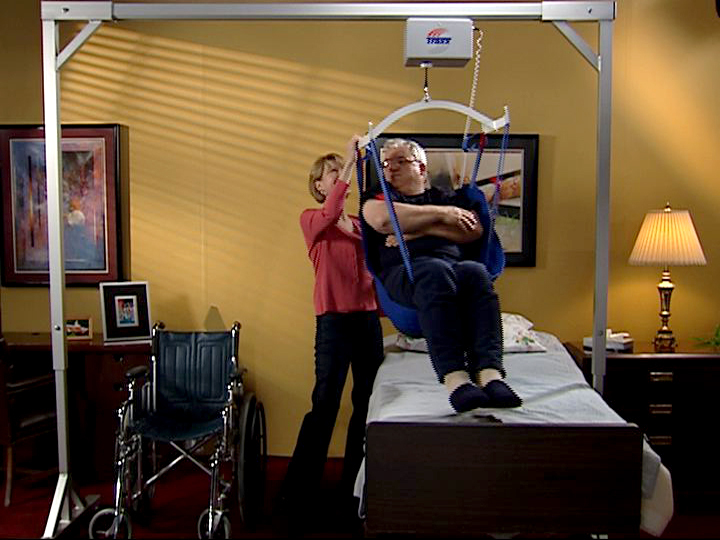 The Traxx Mobility Systems Overhead Patient Lift provides a safe, secure and simple solution for a bed-ridden patient transfer device. It glides along a free-standing overhead track and its rechargeable electric motor works with the touch of a button. Ideal in home health care settings, its patented design allows the whole system to easily travel to assisted living or other health care facilities. 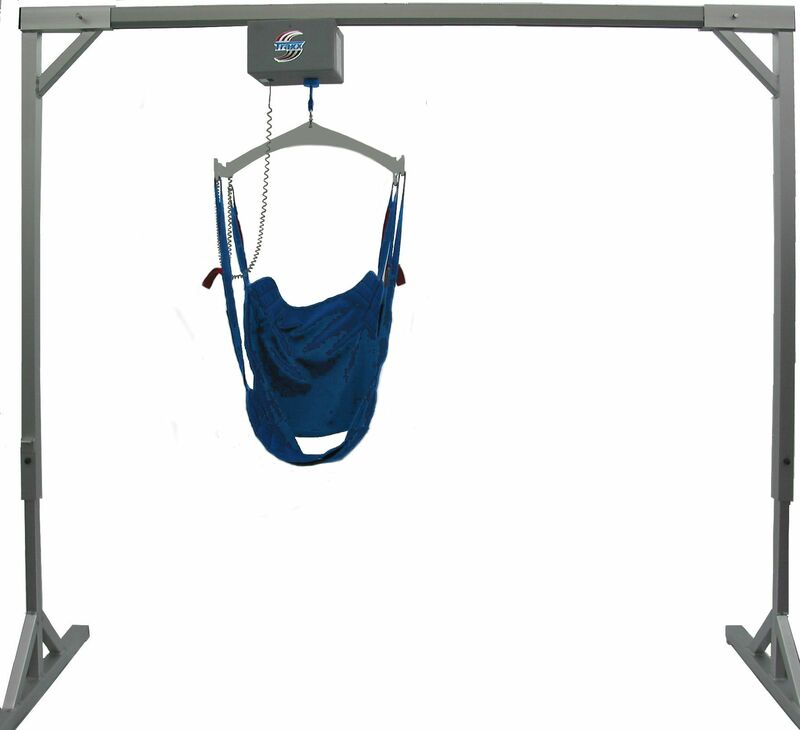 The Traxx Mobility System Overhead Patient Lift is sold as a complete set with no hidden extras. 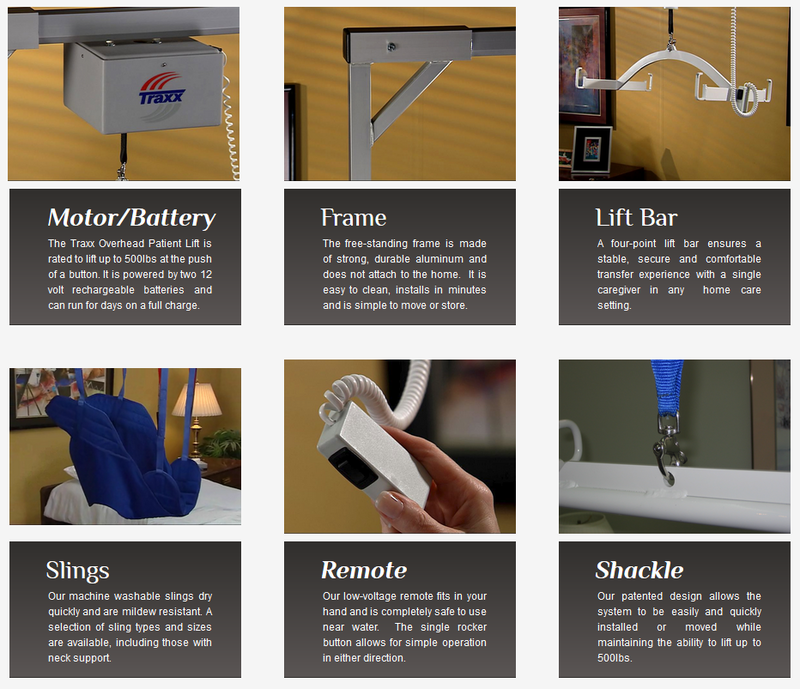 Our patented system retails at a fraction of the cost of other overhead lift systems. It ships directly to you, assembles in minutes without attaching to the ceiling, walls or floor and works with your existing wheelchair or shower chair. We make mobility safe, easy and affordable.